The 21-Day Challenge: Organize Your Whole Life in 3 Weeks! 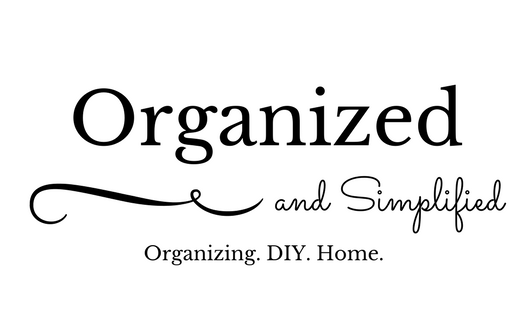 January 4, 2019 by organizednsimplified2 Comments on The 21-Day Challenge: Organize Your Whole Life in 3 Weeks! Every January for the past three years, we gear up for a little “routine refresh,” if you will. We tackle all regularly used areas of our home and perform a purge and an organization tune up. Organizing doesn’t have to be stressful and it doesn’t have to be time consuming- it does have to be helpful. Here are the challenges list, if you’d like to play along. If you do take the challenge, I’d appreciate it if you’d post a pic on Instagram or Facebook with the hashtag #ons21daychallenge. Happy organizing! For the next three Saturdays, I’ll share my progress with you. I’m a sucker for an organized kitchen. There are a ton of ready made cabinet organizers available, but most of them are costly. I’ve managed to find a few nice cabinet organizers for an affordable price. My kitchen sink cabinet is one of the hardest to keep organized. This cabinet organizer would be cheap and easy to make, and it makes a good use of the space. I own several of these organizers that I use to organize bakeware and pots and pans. They’re inexpensive and you can find them at most big box stores. They’re also pretty sturdy. This could be made easily and cheaply. I could see this being in a cabinet above a fridge or microwave. You can buy these baskets from Target for a small amount of money. They have different sizes as well. My Tupperware cabinet is a frequent mess. If I had a drawer deep enough, I’d use this idea. Tired of searching for spices in a crowded cabinet? This life hack makes use of the back of your cabinet door. You could do this very easily! You could build these fairly cheaply; much more cheaply than the ready made ones big box stores sell and install. I use command hooks to organize our baking cups and spoons, but I really love the idea of using them for your mixer attachments. These baskets are fairly inexpensive, durable, and you can find them anywhere. Take advantage of some tall cabinets with these! So there you have it. 10 cheap and useful ideas for organizing your kitchen cabinets without spending a lot of money.